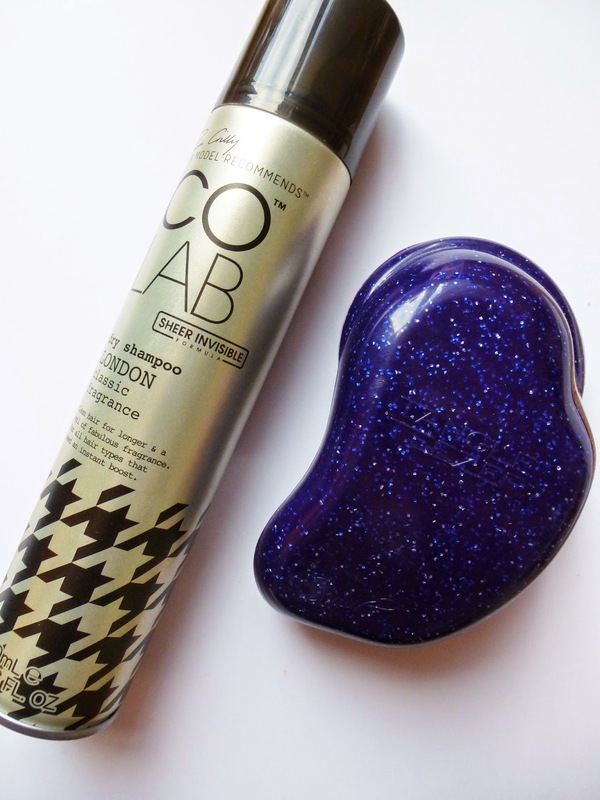 Today’s post is about two hair products that work wonders and these are the Co Lab Dry Shampoo and the amazing Tangle Teezer! Using these together, will make your hair very happy and smiley! Now I have always been a Batiste kind of girl, but after using this dry shampoo I feel I have been converted! There are many beautiful scents in the range, but I have only tried the ‘flavour’ London. I don’t really know how to describe the scent of this… but it is just nice. (The bottle says: A classic yet contemporary fragrance of bergamot, musk & magnolia.) The packaging designs are also GORGEOUS. The product comes in 2 sizes, 200ml and cuteeee travel one, which is always really handy for on the go! I find I have to probably use more of the product than I would with Batiste, I think it’s a finer finish and consistency. Saying this, it makes it brilliant because it’s invisible, and doesn’t make your scalp all white, which is GREAT. Oh so many times in sixth form where people would be like ‘what is that white stuff on your head…’ My hair looks cleaner and smells really nice, an all round winner! I can’t wait to try out the other scents, well done Ruth! Oh maaaaa god, what a fabulous invention! I have had mine for around a year and a half now, and I LOVE IT. I remember the hype around these hair brushes, and being like.. seriously? is it that good.. IT IS. I have always had really fine hair that knots and tangles really so bad, my dad used to call it my ‘rats nest’ at the back of my head. I have used so many products previously, such as detangling sprays but this brush is just AMAZING. I am not sure how it does it… it just looks like a pretty standard brush in a different shape to be honest, but WOW. My heart kind of stops for a moment when I can’t find it... which is a lot, this brush just likes to go missing?! One of my friends has like 4 or 5, as her ‘spares’ which she has bought when she can’t find hers haha! These two products together are ULTIMATE HAIR HEAVEN. Have you used any of these products? What are your thoughts on them…. I was also Batiste all the way until I tried Co Lab and have completely fallen in love! My Tangle Teezer ALWAYS goes missing! Luckily it always turns up eventually but I need to invest in some spares as I can't live without mine! I bought my mum one of these and my mum also bought me one so we have two in the house now. I've never been a massive fan of dry shampoos, I don't really find they help very much. But maybe I'm just doing it wrong! !